It has been quite sometime since I greeted everyone with my "Have A Wonderful Sunday! "post. I have been very busy, busy spending more than 12 hours in the office everyday and expecting this to continue for the next coming few months. Oh dear....... what more can I ask? ?- A long sleep on Sundays of course! So, it's Sunday! and I am restless. What more? 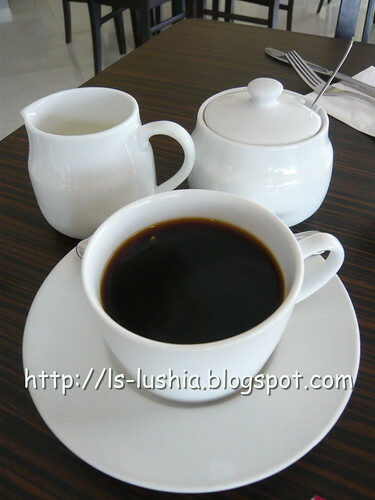 A cup of coffee please?? 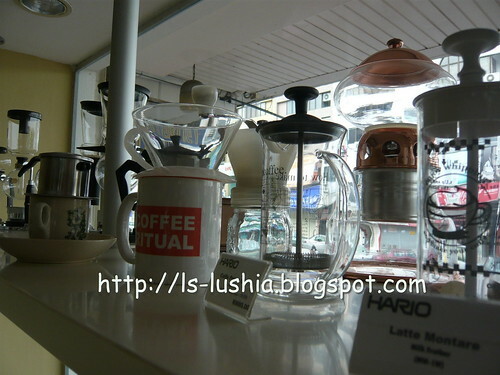 Coffee Ritual- The place to kick-start my Sunday! The Otak otak crepe was excellent! Hot, spicy & tasty. Crepe filled with spicy fish paste and hot mozzarella cheese then topped with black pepper cream sauce. Can you imagine the combination of all the infrgedients that I have named? It's marvelous! For all the breakfast sets, it comes with Segafreddo Coffee. 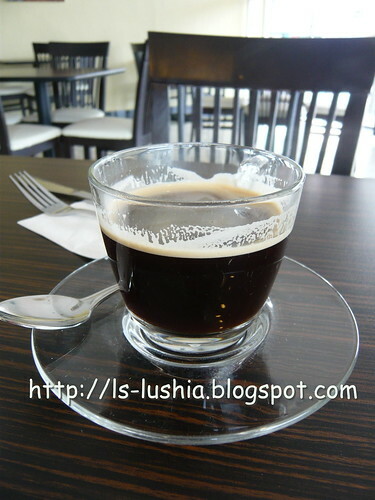 ANd if you would like to opt for other coffees, add-on RM 2.00 and go for it! I did! 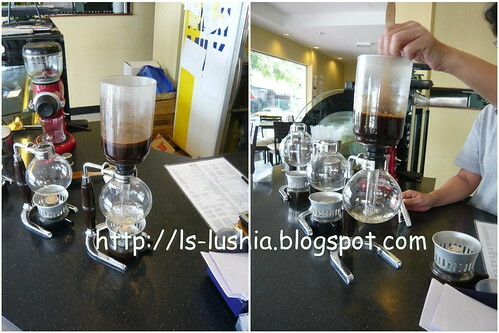 It's brewed in a vacum coffee maker for 50 seconds and the result was indeed good! Clean, crisp, smooth, strong & rich ! 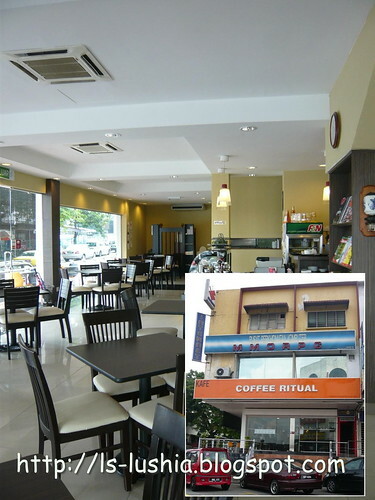 According to the owner of Coffee Ritual, Single Origin Gourment Coffee taste better without additives (milk or sugar). I tried my first sip without additives before adding some sugar and it was indeed aromatic. 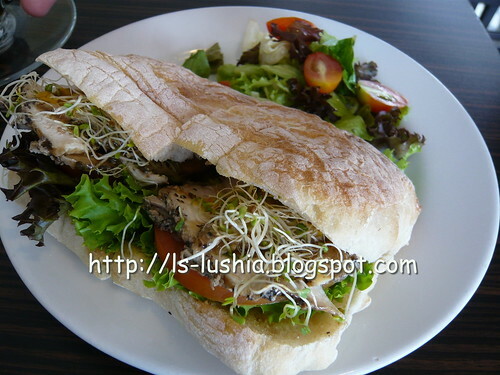 Light and fresh, that's how I would describe the black pepper chicken sandwich. It is served with plentiful of green vegetables and it makes me feel so healthy. Coffee Makers for sale- Interested? I am quite happy with my visit to coffee ritual. 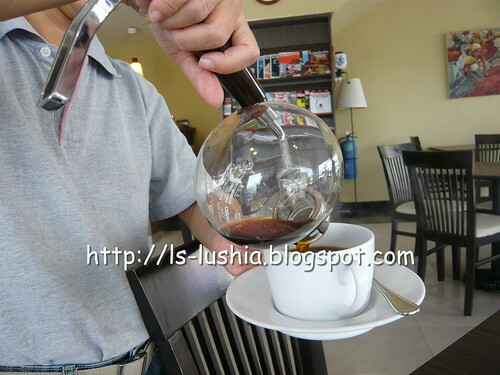 Being served by the friendly owners with passion for coffee. Am delighted with their menu too! It's health concious and it covers food for vegetarians as well. Must Visit!! And it's a must revisit for me........... Have A Beautiful Sunday ya! har...otak otak crepe..first time here, but the coffee style is unique..tempting! - rib eye beef was the toughest i've eaten. i gave up after 2 bites. i called the boss to try and cut it himself. even he admitted it was tough. - i took one spoon of a chocolate cake when my daughter stopped me... bug in the cake!! cake was part of a set meal. when the bill came, they charged us for the full set meal, saying that the cake was a free addition to the set meal (??!!) and so there will be no reduction in the price. - unfortunately this all happened on my birthday. my wife and daughter wanted to treat me to a nice meal... thats the last time i will step into their premises. Hi Vincent, apologies for the very late reply. Feel bad for your painful experience.